Fab Friday #20 is here! Can you believe this is our 20th challenge? I cannot believe it myself! This week we have a color challenge and boy was it a challenge for me! 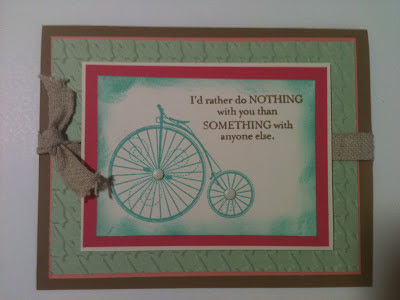 I used the new Timeless Talk stamp set and paired it with a sentiment from the From My Heart stamp set. It's funny because at first, I wasn't too happy with my creation and now, I am considering using this as one of my swaps for convention! Isn't the Natural Trim perfect for this card! I can't wait to make a few more cards using this stamp set! Come back tomorrow for more stamping creations from Stampin' in the Sun! You did an amazing job of working all those colours and your card is beautiful. Thanks for sharing these new products. I think you did a great job with the colors! 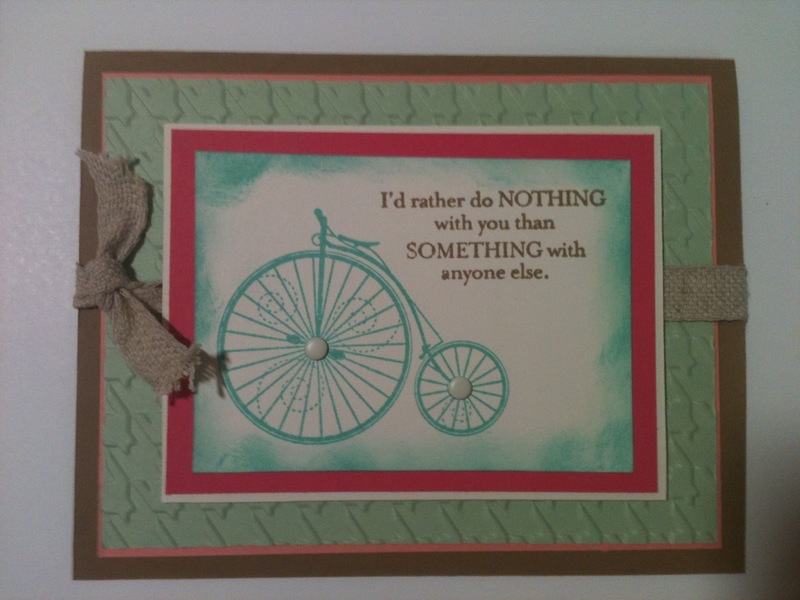 That bicycle stamp can be used for so many occasions! TFS! Very nice card!! Love the bicycle! !